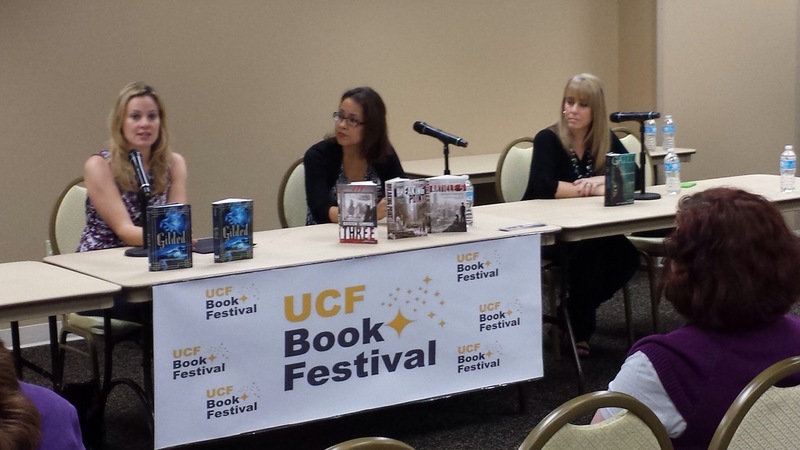 Great times at the UCF Book Festival! 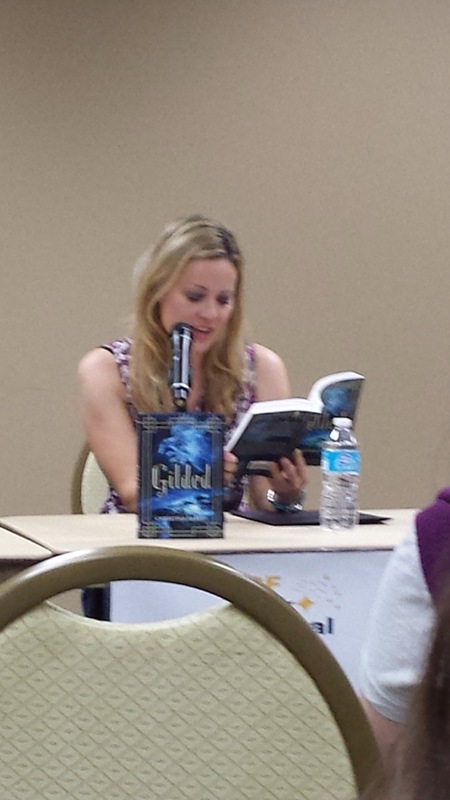 This past weekend I had the pleasure of attending the UCF Book Festival. It such a wonderful experience to meet and talk with people who are also passionate about literacy. 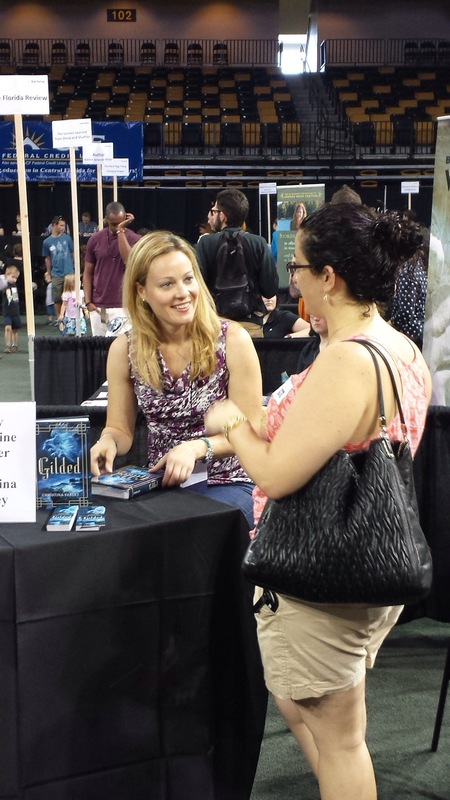 I had a chance to speak with many teachers, librarians and readers from all over Central Florida. I was invited to speak on a panel by two other talented and smart young adult authors, Kristen Simmons and Amy Christine Parker. 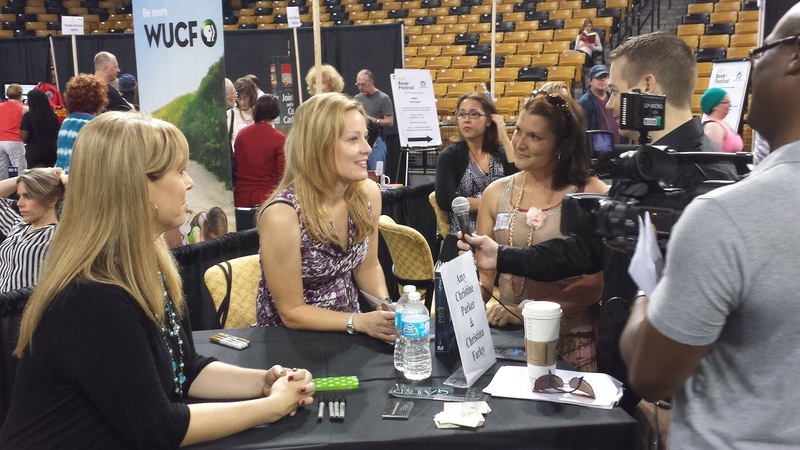 Our topic was Saving the World with Young Adult Authors. We talked about our publication journey and writing process as well as did a fun reading game with the audience. I loved getting a chance to meet up with fellow teachers, media specialists and readers! It’s always more meaningful meeting in person rather than just online. The UCF film crew stopped by and overheard a teacher and I chatting about bringing back the love of literacy in schools. There is so much pressure now on testing that we often forget about how good books are where it all begins. And how to truly learn, we must want to learn. The film crew were eager to video our discussion and join in! 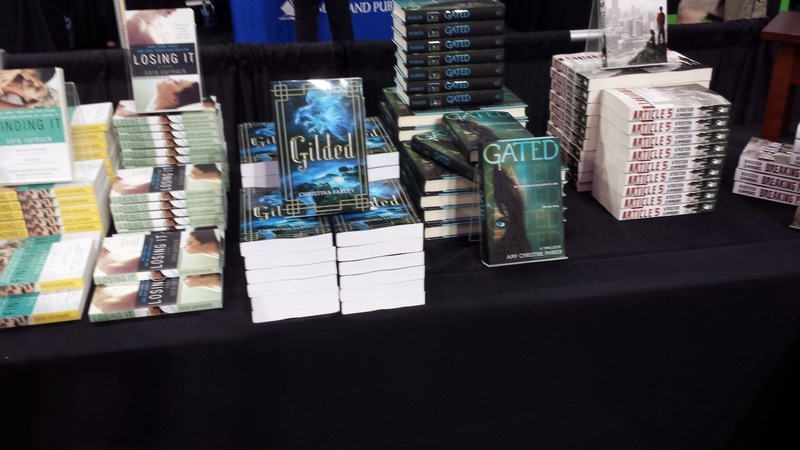 And here is a stack of my books sold by Barnes & Noble! Don’t they look so pretty?